Many enterprises organizations investment and own their facilities, all the physical assets need to be organized and maintained by the organization facilities teams. This become a complex task especially when the organization hold multiple big assets with complex infrastructure. In order to handle this properly we offer to our clients a computer system to operate their assets. Implementing this solution with these guys was very helpful, and thanks for Buildfolio system I can manage properly all our valuable assets. The solution you gave me was exactly what I want with my current budget. 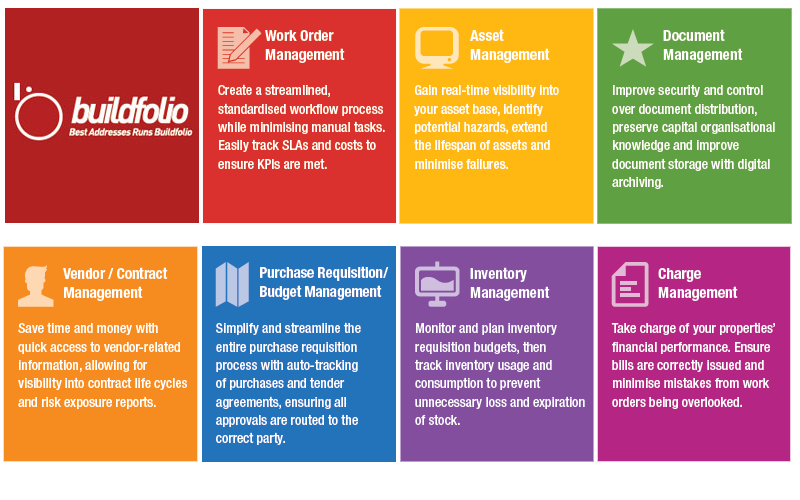 Click on the icon below to download a PDF version of Buildfolio documentation.